VISIT OUR SISTER-SITE SPORTTIMEUSA.COM FOR COMPLETE DETAILS AND ORDERING INFORMATION. 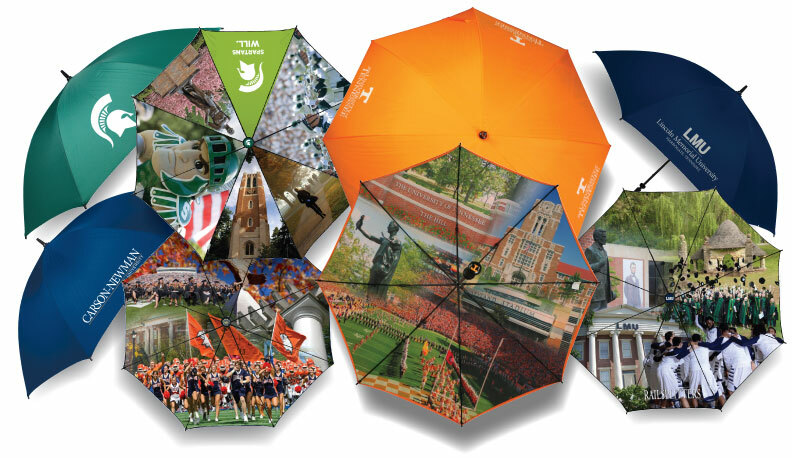 Sport Time USA produces custom umbrellas imprinted with anything from just text to full color graphics on both folding umbrellas and full size golf umbrellas. Because of size and imprint variables, it is best to contact us with your specific needs and questions so that we may give you accurate information and pricing. Minimum order is 50. Examples of some of our custom umbrellas are shown above.